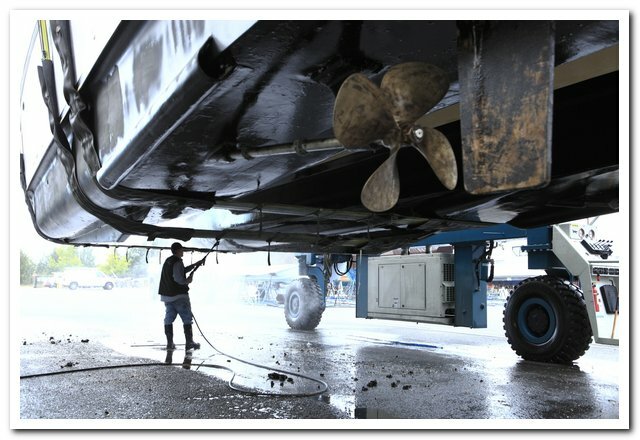 Swantown Marina and Boatyard has renewed their commitment to the environment by being our sixth boatyard re-certified as Leadership Clean. When meeting with Swantown Marina’s Bruce Marshall, I was particularly impressed by the high level of environmental safety training that was occurring at Swantown. Annually, Swantown Marina conducts a half-day oil response drill alongside the Department of Ecology. This entails deploying their 700-foot boom and simulating an oil spill at the dock. This training usually occurs at the marina, but it will now extend to the boatyard as well. Swantown Marina is a yard that continues to improve on their environmental impact. They have plans to ban sandblasting and spray painting from their yard entirely—a move that will help reduce the amount of heavy metals enter the water. In addition, Swantown will create a vacuum sander inspection program, another way to reduce the number of pollutants entering our water. We can’t wait to see what they will do next! You can check out Swantown on their website or on Facebook. ©2013 Clean Boating Foundation. All rights reserved.